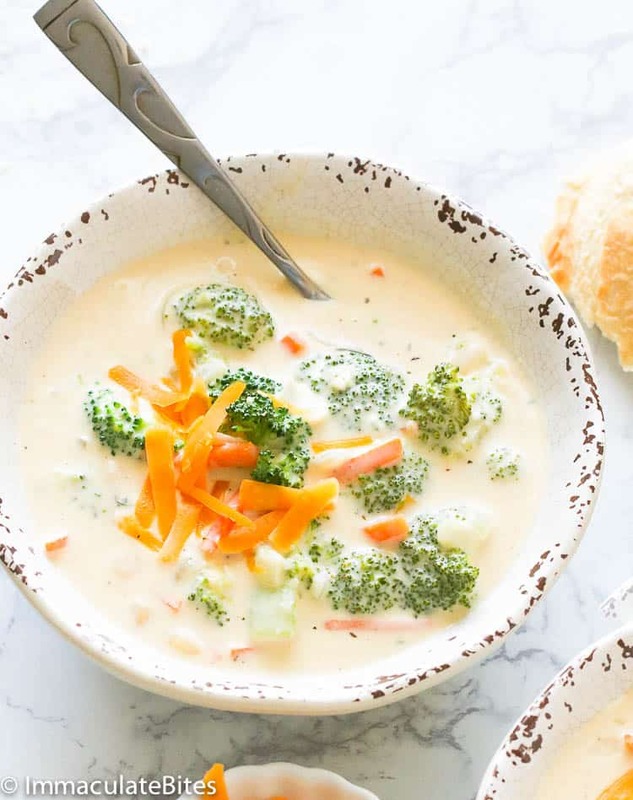 Broccoli Cheese Soup – creamy, velvety and comforting soup with tender broccoli, grated carrots, cheese and so much flavors. One of the easiest soup you can indulge to! I couldn’t appreciate before the lovely flavor combination of broccoli and cheese until I tried this hearty Chicken Broccoli Rice Casserole. But broccoli and cheese in a soup? Oh, you bet! Your friends and family would gladly pour another bowl of this soup. It simply has the right balance of milkiness, nuttiness and cheesiness. Incredibly amazing! 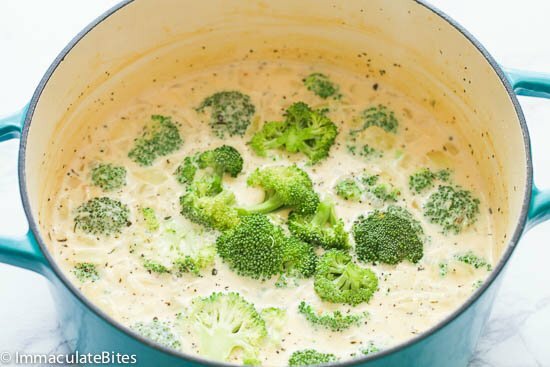 How to Make Easy Broccoli Cheese Soup? You start with melting a butter in a pot and sauteeing the garlic,onion and seasonings. I suggest you don’t replace the butter for oil. That buttery note in this soup adds a touch of flavor. And who doesn’t love some buttery notes on their dish? Then whisk in the flour for consistency and pour in the evaporated milk. You may replace evaporated milk with half and half . 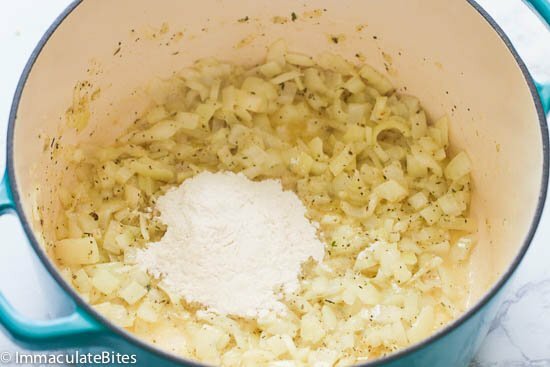 Thicken the mixture for a few minutes until you achieve your desired consistency. Add in the broccoli and let it simmer for 20 minutes or until tender. Fresh broccoli yields a better result in this recipe. Lastly, you load it with cheese, give it a stir until fully combined. I use sharp cheddar in this case as it delivers that nice pop of flavor, but you can actually use any kind of cheese like Gruyere or a light cheddar for a skinnier version. Serve and enjoy with your favorite rolls or sides. 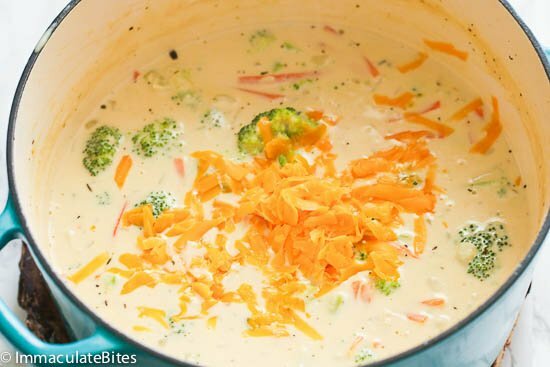 Can Broccoli Cheese Soup Be Frozen? 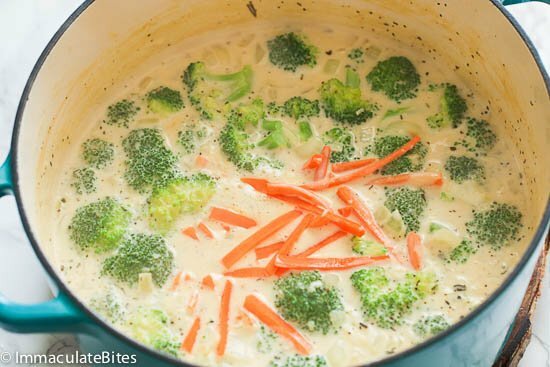 Dairy-based soups doesn’t tend to freeze well as the texture can change slightly. 🙁 However, you can store this Broccoli Cheese Soup in the fridge for 3-4 days in an airtight container. To reheat, simply heat it on the stove top on medium- low while stirring occasionally. 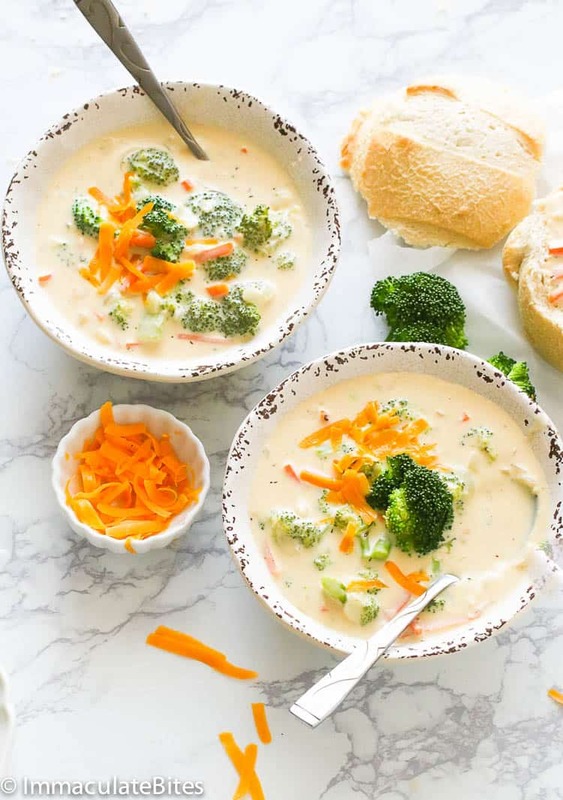 What Goes Well with Broccoli Cheese Soup? There’s only one answer, if you’d ask me. 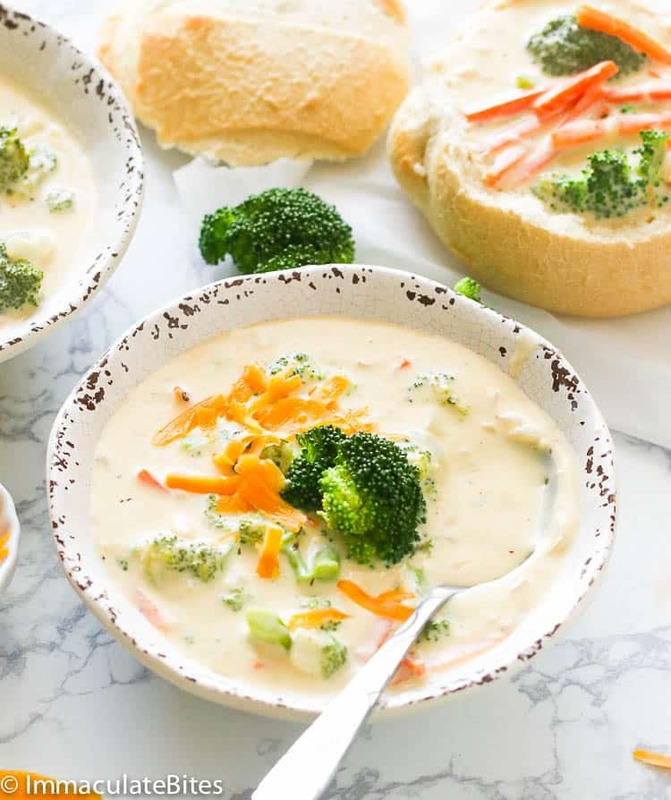 Bread rolls or bread in any form are the perfect compliment to this Broccoli Cheese Soup. You can dip it and sop up the delicious creamy thick soup or serve it on a bread bowl for lesser dish to clean up. 😉 Salads also makes a lighter side to this comforting soup and so as this Twice Baked Potatoes. We usually serve this soup for a quick lunch or for a comforting dinner especially on cold days. Add some carrots if you wish to, but if you want the broccoli to stand out in this recipe, just leave it as it is. 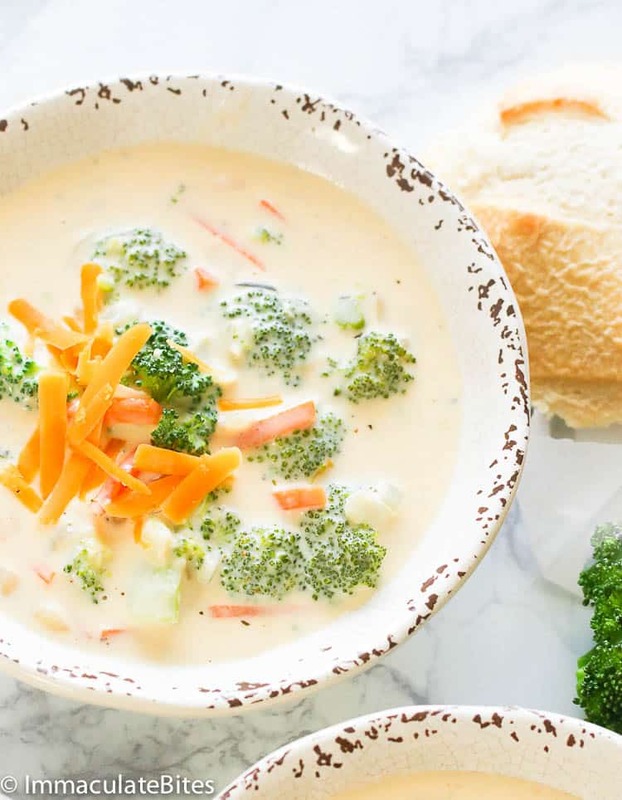 You will still be able to experience a belly-warming and cozy bowl of creamy, thick Broccoli Cheese Soup packed with nothing but great flavors to please your palate. For a thicker consistency. mix 1-2 tablespoons of cornstarch with 3 tablespoons of water and pour it into the sip while its simmering. Stir to thicken. You may replace evaporated milk with half and half or regular milk. Frozen broccoli can also be used instead of fresh. Make sure to thaw it and drain any water and pat dry. Do not use pre-shredded cheese as it may affect the texture and taste of this soup. 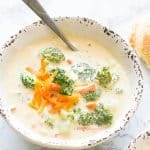 Broccoli Cheese Soup - creamy, velvety and comforting soup with tender broccoli, grated carrots, cheese and so much flavors. One of the easiest soup you can indulge to! 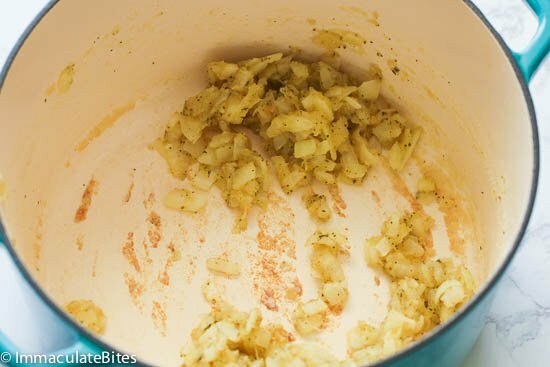 Melt butter in a pot or Dutch oven over medium heat and saute onions, garlic , Italian and creole seasoning for 2-3 minutes or until onions are wilted. Whisk in the flour and cook for a few minutes until it browns or enough to remove the flour taste. Reduce heat to medium-low and slowly pour in evaporated milk and stock while stirring well to dissolve the flour in the liquid. Season with mustard powder and give a quick stir. Allow it to thicken for 5-7 minutes while stirring occasionally. Add in the broccoli florets and let it simmer for 10-15 minutes or until tender. Then mix in freshly grated cheddar cheese, stir until fully combined. Throw in some grated carrots, if desired, adjust seasoning with salt and pepper and let it cook through for another 2 minutes. Remove from heat and serve in bread bowls or with bread rolls on the side. 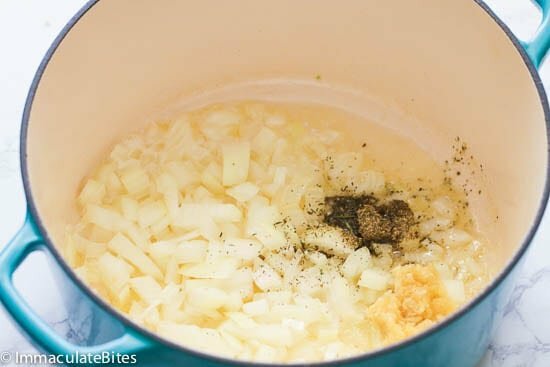 Melt butter in a pot or Dutch oven over medium heat and saute onions, garlic and seasonings for 2-3 minutes or until onions are wilted. 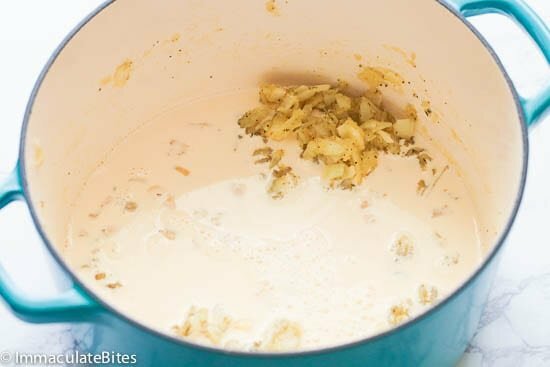 Reduce heat to medium-low and slowly pour in evaporated milk and stock while stirring well to dissolve the flour in the liquid. Season with mustard powder and give it a quick stir. Allow it to thicken for 5-7 minutes while stirring occasionally. Add in the broccoli florets and let it simmer for 20 minutes or until tender. Then mix in freshly grated cheese, stir until fully combined. 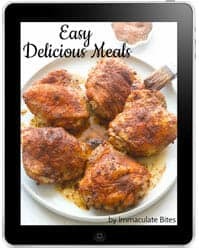 Imma, Your recipes are delicious. Please keep them coming…!